While a career as a teacher can be challenging, it also can be rewarding. Teachers have the opportunity to make a lifelong positive impact on students. In addition to impacting students, teaching has many other benefits. You can enjoy great benefits, job security, time off year-round, and the ability to work in an interesting subject – and all you need is an education degree. Although teaching is a common career path for those with an education degree, but that degree allows you to pursue a variety of high-paying careers beyond the traditional classroom. Here’s how a degree in education can be a fantastic option for anyone. A teaching degree allows you to pursue a career that’s always in demand. The need for teachers is undeniable – no matter where you live, schools are always in need of teachers. According to the United States Department of Labor¹, the number of high school teachers is expected to grow by eight percent per year between now and 2026. Instead of teaching, you could lead others in the classroom. A grade-level chair acts as a liaison between administration and a group of teachers, setting up meetings to collaborate on policies and curriculum. A master teacher coaches new teachers, advises school and district leaders and models best practices. A mentor teacher works with and coaches student teachers. An instructional specialist coaches and provides instruction to other teachers. The average salary of an instructional specialist is about $63,000 per year, Glassdoor reports². You could also become part of a school administration. A counselor advocates for students in many areas, including academic achievement, college preparation and social development. An assistant principal works to achieve the stated goals of the school and the principal. A dean of students interacts with many other positions to create a positive school environment. The principal sets a vision for the school and works with staff to achieve it. A high school principal earns about $90,000 per year according to the U.S. Bureau of Labor Statistics³. Some educators choose a career outside of schools, developing services and products for teachers. You could create new products for teachers in any subject or teaching any age, or you could work as a consultant who offers services to different schools. These professionals typically work in a more traditional office setting. What Kind of Degree Should You Get? It’s easy to get started in the education field: all you need is a degree. If you’d like to follow the traditional path of becoming a teacher for students from preschool to high school, you’ll just need a bachelor’s degree. You can choose to earn your bachelor’s degree in a traditional 4-year college program, via an online college program, or even in a combined associate’s degree and bachelor’s degree path that lets you earn two degree over four years. A bachelor’s degree will open doors and career options for you immediately. 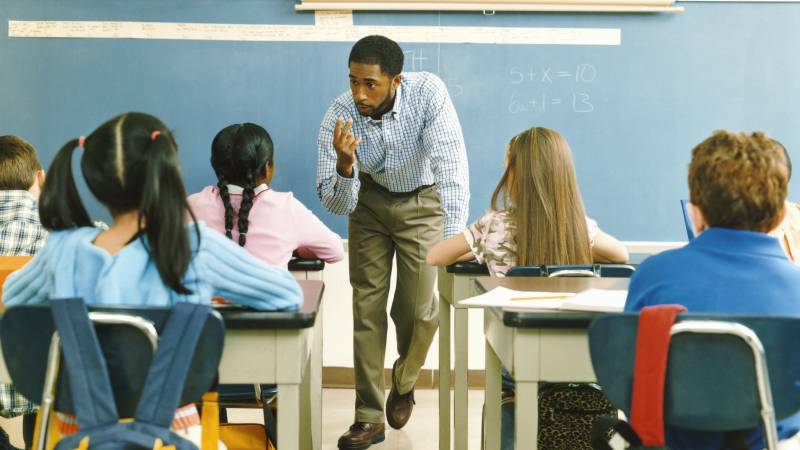 Some states and schools require those who want to teach to earn a teaching certificate. Typically, you can either take an exam or an accelerated one-year program to earn that certificate, or you can earn that certificate as part of your bachelor’s degree program. A teaching certificate will be the official document that lets you teach in public schools throughout your state. A master’s degree will open more opportunities for you, both career- and salary-wise. Teachers with master’s degrees tend to earn a higher salary, although this varies greatly depending on job requirements and location. For instance, some school districts offer bonuses to teachers who earn their master’s degree. A master’s degree can help you qualify for a non-teaching occupation as well. Educational consulting companies and independent counselors often prefer those with master’s degrees. If you’re ready to enter the education field, you have several options to earn your teaching degree: traditional college, online college, and a teaching certificate. Any of these programs can be completed rather quickly. Both programs offer similar educations with comparable curriculum and accreditation. Online programs are equal to a traditional degree. However, the benefits of pursuing an online degree are numerous. Most online programs are available 24/7, meaning you can attend classes and lectures at your convenience and own pace. No on-campus lectures, labs, or tests are required. Most online schools are fully accredited, and the U.S. Department of Education supports degrees earned from an online college just like those from a traditional school. The requirements for a teaching certificate vary from state to state, so it’s important to make sure the online school you choose is fully approved and accredited by your state. Online programs are convenient and flexible, offering an outstanding opportunity for working professionals to transition into teaching. If you’re interested in earning a degree in education or teaching, start a search today.